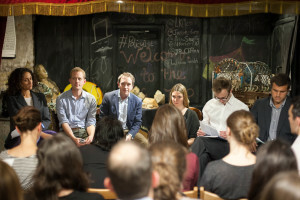 I chaired a ridiculously fun and interesting debate last night at LKMco’s London home, The Ship of Adventures. 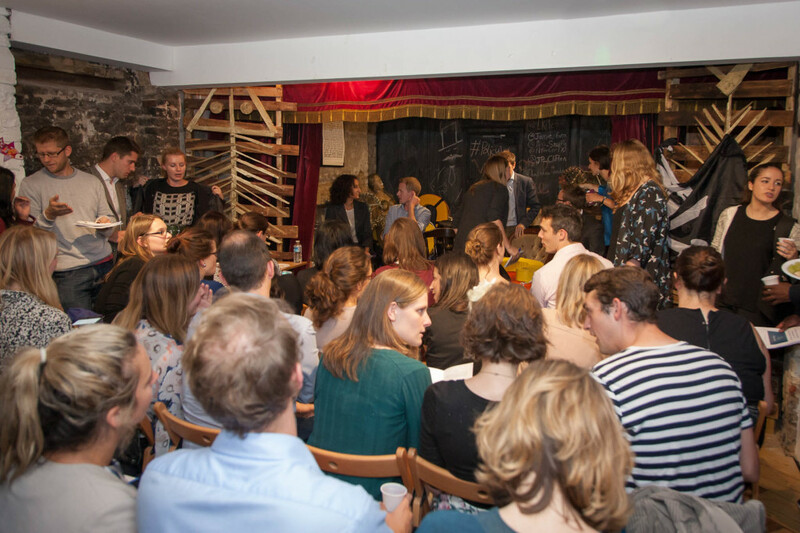 It featured Katherine Birbalsingh of Michaela Community School, Jonathan Clifton of the IPPR, Natasha Porter from Policy Exchange, Peter Henderson of the EEF and Jake Curtis of Jamie’s Farm. 1. What are the biggest challenges facing schools in the next five years? B) A sandwich with no bread: schools sit somewhere between Early Years and FE. Early years will now be expected to provide more hours when they’re struggling to meet demand as it is; meanwhile FE is reeling from cuts – and is about to be cut further. E) A system increasingly geared towards achieving ends that aren’t in line with what the majority of people within the system are aiming for. By that I mean that everything is premised on outcomes such as exam results/Ofsted grading, but these are not the things many teachers care about most. This means the ‘mission’ is not about the things that matter to the people charged with delivering it – that’s a recipe for a de-motivated and frustrated profession. 2. What are the biggest opportunities for schools in the next five years? Bugger. I’d planned to come up with more opportunities than challenges…! 3. What would it take for a self-improving system to impact on the classroom? A) Career trajectories for all teachers i.e. a range of pathways that respond to teachers’ motivations. These should include subject leadership, pastoral leadership, management and research; both within individual schools and across several of them. C) A self-improving system needs leadership. And not just from within school: a few school leaders are driven to lead system-wide change, but most aren’t. Some are too busy helping their own pupils and that’s fine, as Sam Freedman pointed out at ResearchED. We therefore need to develop and recruit the right people for cross-school leadership. D) Good teaching school alliances (with different foci e.g. SEN, literacy, research) need to be turbo-charged (and evaluated). Last time I checked their geographical distribution it was a joke. Teaching in East Lincolnshire or North Northumberland? Hang on in there, a teaching school might get to you shortly! 4. Will academies solve educational inequality? One of my reasons for optimism is the fact that I think very few people in their right mind now answer questions like this in the affirmative. It’s a ludicrous idea – and I say that as someone who doesn’t have a problem with academies. A) Ask yourself what causes educational inequality (poverty and deprivation, variable quality of school leadership, teachers who have good intentions but struggle, early variability in outcomes from pre-school age, difficulty responding to pupil needs, a London-centric economy/system etc.) Now tell me which of these will be solved by academies (and not just in some academies, I mean solved in a way that some non-academies couldn’t solve). Ex @educationgovuk employee says "we do look for all these things" but as @BeckyFrancis7 says-they can't be v tight if over 90% accepted! 5. What are the causes of, and possible solutions to, the upcoming recruitment and retention crisis? We’re publishing an awesome report on this called “Why teach? ” in partnership with Pearson next month. It looks at why people go into teaching, why they stay, how they decide where to teach and what would encourage them to teach elsewhere. So I’m not going to pre-empt it too much. We surveyed over 1,000 teachers via YouGov, did case studies in four contrasting parts of the country, and Meena carried out some “Latent Class Analysis” which, if you don’t know what it is, you soon will. In the meantime, if you want to catch up on what was said, I’ve posted a storify of tweets from the evening here.